Arrive at the Khlong Lat Mayom Floating Market. Explore the market, see the local way of life along the canal by classic paddle boat and try some local street food. Leave the Khlong Lat Mayom Floating Market and go to meet my grandma. Start our cooking session :9 Let's learn how to master the scrumptious Pad Thai and other Thai dishes with my grandma. Then enjoy our home-cooked lunch together. Drop you off at Talat Phlu BTS Station or Bang Wa BTS Station. 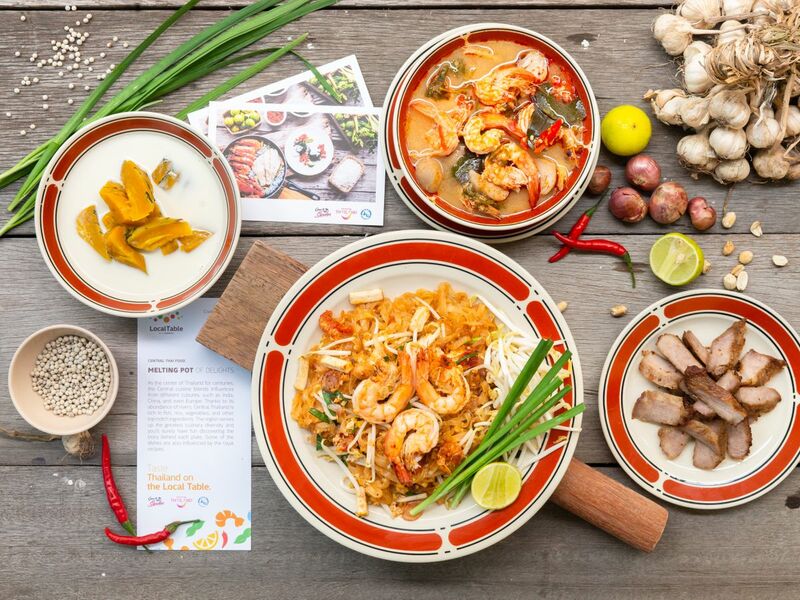 Visit an authentic floating market in Bangkok and get to learn and cook your very own Pad Thai. What a perfect plan! Enjoy your quality time during weekends at one of the oldest floating markets without the crowded and the busy streets in Bangkok downtown. You get to observe the local lives along Lat Mayom canal, try different street foods, and learn the secret of making a delicious Pad Thai with my grandma. Our family had a great time on this tour. We would have stayed longer at the market if we had the time. There were so many food to try. My son enjoyed the cooking session. Thank you, Maitree and thanks for welcoming us to your home and showing us the similarities of Thai culture and Filipino culture. Would highly recommend anyone to take this tour! I loved every single minute of it. Maitree is friendly, nice and so kind. We were able to taste anything we wanted in the floating market and Maitree would not let us pay for anything. Grandma was so kind and welcoming. I enjoyed the cooking class. Will definitely do it again once I get back. If you want something local...well it doesn't get better than this.